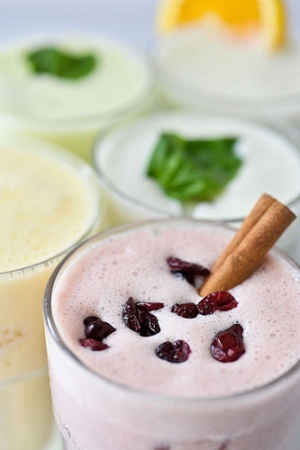 Ingredients: For 2 persons: 130 grams of orange juice, 250 g of apple juice, 2 spoonfuls of yogurt, 50 grams of raisins. Preparation: It 'a good drink from the oriental taste, fairly energetic. Be proposed as a breakfast in the morning who does not like to chew. Whisk together all ingredients until creamy smooth and homogeneous. Serve in large bowls.